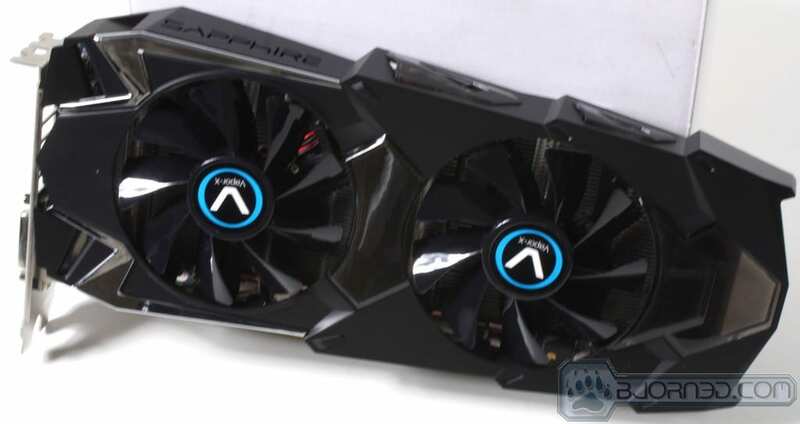 Sapphire has been making AMD cards since back when AMD first adopted the idea of having add in board partners handling the manufacture and selling of AMD GPUs. So now at over 10 years later they are still going strong with a much wider product line than ever as they have recently made the move into motherboards and even mini PC’s or bookshelf PC’s for media center usage. All of that aside, Sapphire has not forgotten its roots and it is still a lead innovator for AMD graphics solutions. Sapphire always has some reference and some more crazy or extreme designs such as the one we have today in, the Vapor-X model. Vapor-X has to do with the cooler design as the heatsink base which contacts the GPU is a vapor chamber design which quickly removes any heat from the GPU and pushes it out to the fin array for a very efficient cooling design. This of course is a very basic explanation but we will go into that further within the review. Vapor-X designs are also very much known for their out of the box overclocks and overclock capability above and beyond what comes to you when you unpack it. This gives me a feeling of promise as I know I should have some good times tweaking this card up a bit to see what it can really do. The HD 7950 Vapor-X looks to have some impressive specs and capability all at a present retail price directly from Newegg of $329.99 which places it right in the fray with the other offerings carrying the same chipset. Sapphire made good use of Vapor chamber style coolers or even hybrid designs such as what we see here. The vapor chamber in this case sits right upon the GPU die for optimal thermal transfer and from there the heat is quickly transferred to the heatpipes connected to the other end of the vapor chamber which feeds that heat out to the fin array for efficient heat dissipation ensuring much cooler temps for the GPU which in turn can lead to better overclocking potential. The New 7000 series GPUs from AMD are named “Graphics Core Next” which is simply stating it is the next generation built upon the 28nm technology. This is done to allow a smaller package fitting more processing power for even better visuals and performance than ever before. AMD Eyefinity is a very capable display array function from AMD and allows for multiple displays to be placed together in a grouping for a super-sized gaming or productivity display setup. Nvidia has their surround to counter this but the amount of displays per card supported by AMD has been much higher for some time now, as Nvidia just recently with the 600 series allowed for more than 2 displays per card whereas AMD has allowed well over that and triple that in some cases from a single graphics card for quite some time now. The HD 7950 Vapor-X offers a Dual BIOS which can be changed at the press of a button. The primary BIOS carries a clock speed of 850MHz on the GPU and 1250MHz (5000MHz effective) on the memory. Pressing the button then posting the system enables the 2nd or “Boost” BIOS which is quite higher clocked at 950MHz on the GPU and 1250MHz (5000MHz effective) on the memory. This allows for a nice kick of performance or free performance as a 100MHz GPU clock increase should net at the least an FPS or 2 in most games if not a bit more. But besides that I want to see how much more we can pump out of this card and what its true potential can be. Sapphire wants to ensure everyone knows that the cards are PCIe Gen 3 ready and capable, with a compatible CPU and board there will be lots of extra bandwidth on tap to really let this card strut its stuff.